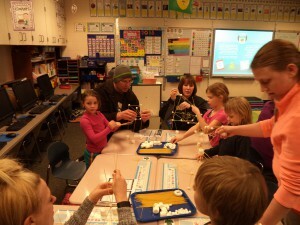 Rosa Parks Elementary partnered with University of Indianapolis to create a fun evening of learning at RPE Family Night Thursday. 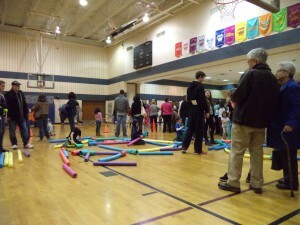 UINDY students and staff organized and operated activities centered around math and movement in the gymnasium. 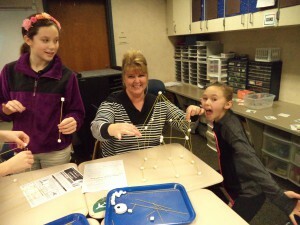 In the classrooms, families participated in activities centered on problem solving, critical thinking and questioning. In all, over 630 staff, students and family members from UINDY and RPE were in attendance!